Montreal is reputed to be an extremely haunted city, the most haunted in Canada, if not North America. There are well over one hundred stories of people who died, often tragically, and returned to haunt the city as ghosts. However, a little known fact is that Montreal is rumoured to be the home of at least two invisible pets, a cat and a dog. 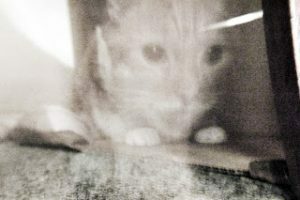 In the early 1970s, the Grey family experienced an invisible cat in their home in Montreal. What was remarkable is that the feline could be heard and felt, but it was never seen. In another instance, a young boy in the Montreal suburb of Roxboro took on what his parents assumed was an imaginary friend named Duke. 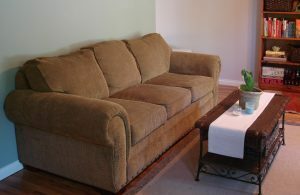 The boy would get upset if the parents tried to sit on the couch when “Duke” was there. While the parents humored him at first, they got the shock of their lives when a neighbor informed them that the previous owner has a dog of the same name before passing away with her beloved pet in a house fire. It would seem that invisible pets are part of the ghostly folklore of the city of Montreal. The only unanswered question is why. According to paranormal storyteller Darren Zenko, author of Ghost Stories of Pets and Animals, animals can definitely return as ghosts: “Some ghost animals, especially pets, prove their loyalty in the afterlife, while others, such as Great Britain’s Black Dogs, return to terrify the living.” In Montreal, the ghostly pets are decidedly milder. 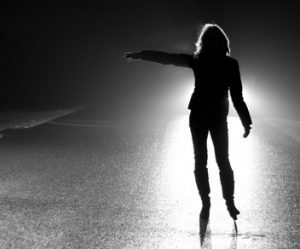 The first story comes from Sheila Hervey’s 1973 classic book titled Some Canadian Ghosts. 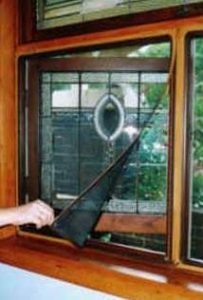 In a chapter called “The Invisible Cat” (pages 82 – 85), she relays a strange story that happened to the Grey family, including parents Brian and Louise and their four children, who experienced an invisible cat in their Montreal home. The story does not identify where in Montreal the Grey family lived, merely explaining that the Canadian family had “a most peculiar problem.” The author elaborated that even though the family did not own a cat, there was “definitely such an animal living in the house with them,” albeit one they could not see. Sheila Harvey explained that the first time the feline spirit visited was one late afternoon in the master bedroom. The bedroom was located on the second floor of the two-storey residence and the mother, Louise Grey, had experienced a very tiring day. Mrs. Grey was stretched out on her bed. She was resting quietly before preparing dinner. Suddenly, she felt a slight “plop,” the type that cats make when they jump on a bed. The door to the master bedroom was closed so there was no way for an ordinary cat to access the room. Mrs. Grey, laying still on her side, first thought that maybe her children were playing tricks on her. She thought that perhaps they had slipped a stray cat into the room during a moment when she had dozed off. One of the Grey children, Tom, was a third-year university student and had been away at college when the invisible cat moved into the house. His mother wrote him a letter explaining the situation and he responded with skepticism. When he returned home for a visit, his excited younger brother and sisters confirmed the outlandish story. Tom didn’t believe a word of it, being doubtful about all things paranormal. Tom was determined to disprove the family’s theory that an invisible cat was roaming the house. 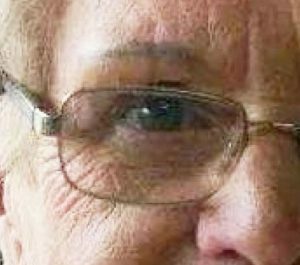 Sheila Harvey explained: “Early one summer morning, the disbelieving young student got a first-hand opportunity to test his theory. He experienced a visit from the elusive cat. 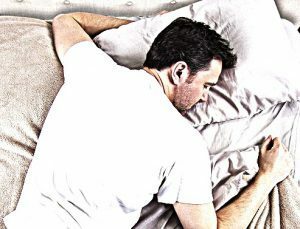 Tom felt the animal land right on the small of his back while he lay in bed. The weight seemed about right for a cat. Following this strange encounter, Tom acquiesced that there was actually an invisible cat living in the Grey family household. The invisible feline went on to become an accepted member of the Grey family, who were especially pleased that it caused little trouble and cost nothing to feed. Indeed, they even missed their invisible pet on occasions when it did not turn up for several days. “No. Not really. I believe that sometimes when you are thinking about someone you were once very fond of, then there is a sort of feeling of closeness that is almost a spiritual experience in itself. But my only personal contact with that kind of thing has been in connection with that cat of ours. We have never been able to figure out how to explain it properly. Funny things just happen, I guess”. There is no explanation as to why an invisible cat decided to move into the Grey family home or why it might have become a ghost in the first place. Furthermore, given that the story was written in 1973, the odds are that the Grey family no longer lives at the same address. Could the same invisible cat be haunting another family today? 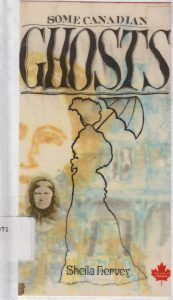 The second story, about an invisible dog, offers more theories as to why a dog might become a ghost. 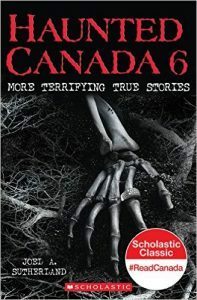 The tale was recently published in Joel A. Sutherland’s Haunted Canada 6 in a chapter called “An Imaginary Friend” (pages 29 – 32). Sutherland scoured the country for creepy and chilling tales, and he discovered one in the Montreal borough of Pierrefonds-Roxboro. 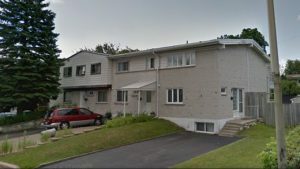 A newlywed couple named Kyle and Pete had moved into their first home on Georges-Vanier Street in Roxboro, a suburb on Montreal’s north shore. Their home, an end unit of a row house, was small and ugly, but they were nevertheless excited to start married life together. They figured it was only a matter of time before they would be able to upgrade and move into a nicer home. The boy began to spend more and more time with “Duke” as the days passed. He would often say “Come here, Duke!” and proceed to lead his imaginary friend to different places in the house. Kyle began to wonder where Gareth had come up with the name. She didn’t recall him coming across the name “Duke” in any movies or television programs they had seen together, nor did they know anybody of that name. One day Kyle was visiting a neighbor on Georges-Vanier Street and what she learned sent shivers up her spine. Suddenly everything clicked in Kyle’s mind, albeit in a very disturbing way. The way Gareth interacted with “Duke” was the same way a person interacted with a dog, not another human. Gareth would continue playing with an talking to the ghostly dog, which only he could see apparently, until the family was finally able to move to a better home. By now, Gareth was three years old. 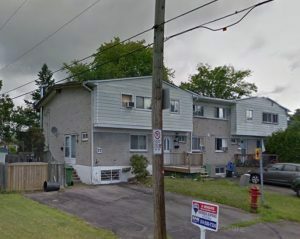 At the new house, Gareth stopped playing with or talking to the invisible dog, leading Kyle to believe that the ghost remained in the old home on Georges-Vanier Street. Today, Gareth is grown up and has no recollection of his imaginary friend. His mother, however, remembers those strange times vividly as though like they were yesterday. 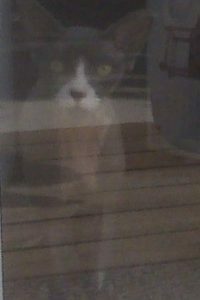 Montreal is extremely haunted, so perhaps it should come as no surprise that even pets can turn into ghosts in the city. Why the ghostly cat returned is unknown, whereas the phantom dog seems to have remained on the site where he perished in a blaze. Whether or not there are other invisible animals surprising Montreal’s citizens is unknown at this time. If you have a story about the ghost of a pet or other animal on the Montreal island, please contact Haunted Montreal. Haunted Montreal is pleased to announce several new initiatives as well as out 2017 season of ghost tours! Firstly, we have had our website completely re-done to make it more manageable and user-friendly. With an automated, integrated platform it should be easier to navigate the website and blog. The blog has moved onto the website itself and can now be read in either language in separate areas. Ticket sales have become completely automated and we have added a Frequently Asked Questions (FAQ) page. Secondly, we are pleased to announce that we will be offering Haunted Griffintown and Haunted Mountain from May 5 to October 7. In May and June the tours will alternate every Friday night, starting with Haunted Griffintown on May 5. From July to October Haunted Griffintown will be offered on Friday nights and Haunted Mountain on Saturday nights. Please note that unfortunately the Griffintown Café, where we used to lead the Haunted Griffintown Ghost Walk from, has closed down. Our new starting point will be the Rockaberry Café right next door at 1380 Notre-Dame Street West. Serving some of the best cake and coffee in Montreal, this café comes highly recommended. 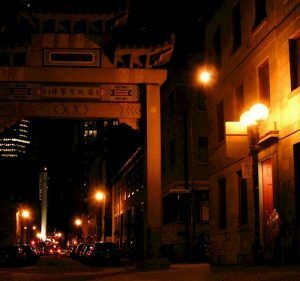 Thirdly, we will be doing a Haunted Chinatown Ghost Tour for Jane’s Walk 2017 on Sunday, May 7 at 2 p.m. Unbeknownst to many, Montreal’s historic Chinatown is one of the most haunted parts of the city. Not only are there ghost stories connected to forgotten places like Montreal’s Protestant Burying Ground, the Little Dublin district, and the old General Hospital, but there are also frightening tales told by the local residents themselves. It would seem that Oriental superstitions, legends and ghosts are an integral part of the fabric of this small but storied neighborhood. To celebrate Montreal’s 375th anniversary, Haunted Montreal is very pleased to announce the first-ever Haunted Chinatown Ghost Walk. Lastly, a big thank you to all of our clients who attended a Haunted Montreal ghost walk during the 2016 season! If you enjoyed the experience, we encourage you to write a review on our Tripadvisor page, something that helps Haunted Montreal to market its tours. Lastly, if you would like to receive the Haunted Montreal Blog on the 13th of every month, please sign up to our mailing list. Donovan King is a historian, teacher and professional actor. As the founder of Haunted Montreal, he combines his skills to create the best possible Montreal ghost stories, in both writing and theatrical performance. King holds a DEC (Professional Theatre Acting, John Abbot College), BFA (Drama-in-Education, Concordia), B.Ed (History and English Teaching, McGill) and MFA (Theatre Studies, University of Calgary). He is presently studying to obtain an ACS (Montreal Tourist Guide, Institut de tourisme et d’hôtellerie du Québec).